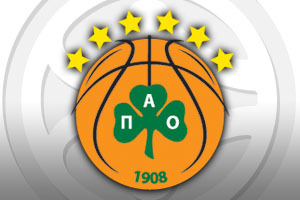 Spread Pick: Panathinaikos with handicap +3 at 1.90 Over/Under: Under 152.5 1.90 Bet Now! With Panathinaikos already qualified to the Top 16, this Group C match is a much bigger affair for the home team than it is for the away side. Not that Panathinaikos will be a pushover but Milan know that if they win this match, they will book their place in the knock-out stage of the 2014/15 Euroleague. However, even if Milan loses out tonight, there is a chance that they will clinch qualification depending on the result of the Bayern Munich versus PGE Turow game. That game tips off half an hour earlier than the game in Milan and Turow loses, Milan are through regardless of their result. This may mean you see a different Milan side in the final stages of the game than you would have done if the result in Germany goes one way or another. 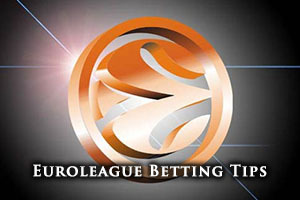 The two teams have already clashed this campaign in the Euroleague with the Greek side earning a thumping home win. The final score was 90-63 for the Greeks and a total of 10 players managed to bag between 10 and 15 points. Dimitris Diamantidis was in great form with 8 assists in a game that featured a total of 153 points. The same player will be crucial for Panthianikos while Milan will be looking for Daniel Hackett and Joe Ragland to contain him. The home side hold a 3-5 record in the Euroleague this season and they are scoring an average of 76 points per game this season. While Daniel Hackett will be tasked with keeping an eye on Diamantidis, he will also provide a threat for the home team, and he has offered up an average of 13.1 points per game this campaign. Hackett has been assisted by Samardo Samuels who has provided an average of 13.1 points per game and an average of 6.1 rebounds per game while Alessandro Gentile has provided an average of 9.9 points per game, 3.3 rebounds per game and 3 assists per game. If the Italians are looking to take their destiny into their own hands tonight, these are the players that need to step up. In Italy, Milan hold a 7-2 domestic record, sitting in third place in their group. The Greeks hold a 5-3 record in the Euroleague with an average of 79.6 points per game. Their main man for points has been AJ Slaughter, with 13.1 points per game while James Gist has offered 7.8 points per game and 4.5 rebounds per game. Panathinaikos have been in electric form domestically, clinching 9 wins out of 9 to sit in first place. With all of the pressure on Milan, it may well be that Panathinaikos will be able to play their usual game in a relaxed manner. Taking the away team with a handicap of +3 at odds of 1.90 is likely to pay off, and if you fancy the Over/Under market, going Under at odds of 152.5 should pay dividends on Thursday night. These bets are available from Bet365 and if you are looking to watch the big match live, we can help you out. Bet Now! If you like to compare the given odds, please click here to compare them to the different basketball betting sites we recommend.